Do you see this thing next to the laptop? It is one of the best investments your company can make ever. In fact, if you haven’t budgeted it, please do it ASAP or just go ahead and spend own money. It will be a wise investment of $5 which will pay back from the very first day. Now the next day you will be profitable and after that ROI will be impossibly high. Provided how simple the mechanism of the sandglass is, and zero maintenance costs – it is a damn perpetual engine. Provided the value it brings it is a philosopher’s stone. The actual use of this tool is very simple as well. As any meeting begins, you just turn it over. With the last grain of sand, you call it a meeting. This thing helps you save the priceless and non-recoverable asset, the time. Plus teaches you and people around you to use fewer words, concentrate on essential stuff thus making the processes more efficient. The glass on the picture measures the period of 30 minutes. 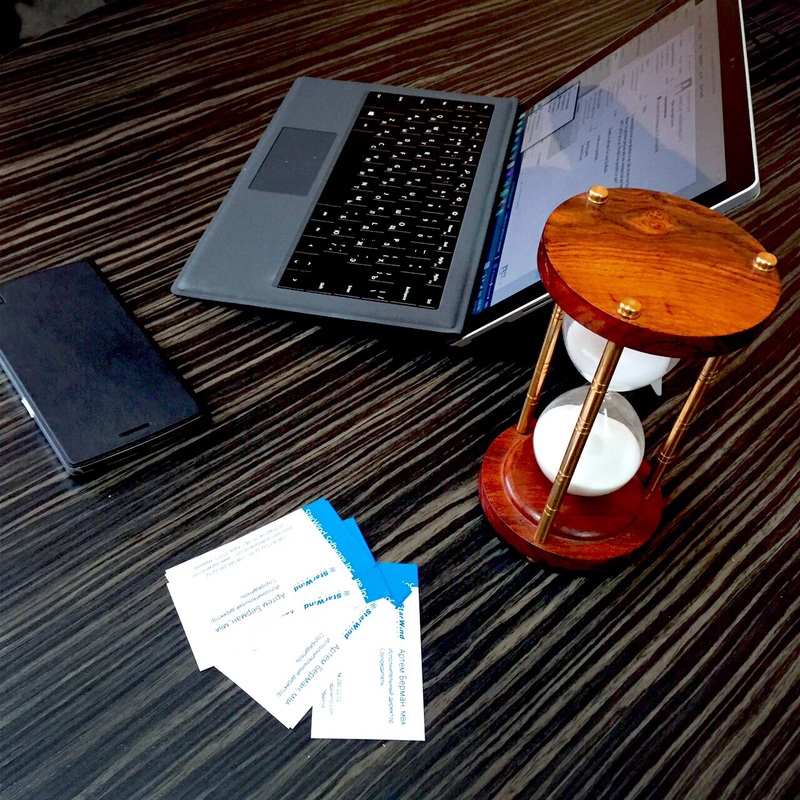 Now calculate what happens if you are running five meetings a day and each used to take about 50 minutes before this sandglass was brought in? Right, 100 minutes economy. 500 minutes in five days. You got the idea. Impressive for $5? Another piece of advice would be running the meeting around its agenda. Anything out of planned scope requires a separate meeting. Send me the invite. Of course, if the idea of the meeting is not “touching the base” or discussing weekly developments in the company. It leads to another idea that each meeting needs the strict agenda sent beforehand. And last but not the least thing is to bring in only those people you need for the meeting. It saves many more minutes.